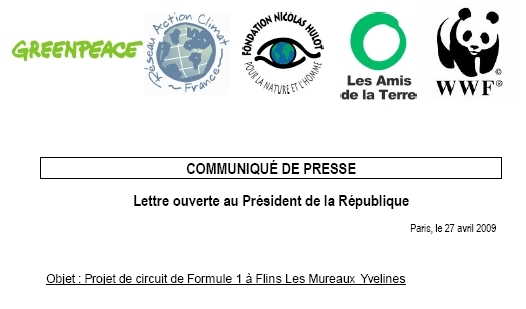 L’association Flins sans Circuit F1 a écrit au Président nouvellement élu de la Fédération Internationale de l’automobile, Jean Todt, qui nous a répondu d’une façon laconique, qu’il avait transmis notre courrier à la FOM (Formula One Management). In a dramatic development in the Formula One “Crashgate” scandal the FIA has offered the Renault team’s second-in-command immunity from punishment in exchange for full disclosure of how the alleged plan was executed. Bernie Ecclestone, the Formula One commercial rights-holder, spoke last night of his fears that Renault could leave the sport over allegations that the team asked one of their drivers to crash his car to help his team-mate win a race.